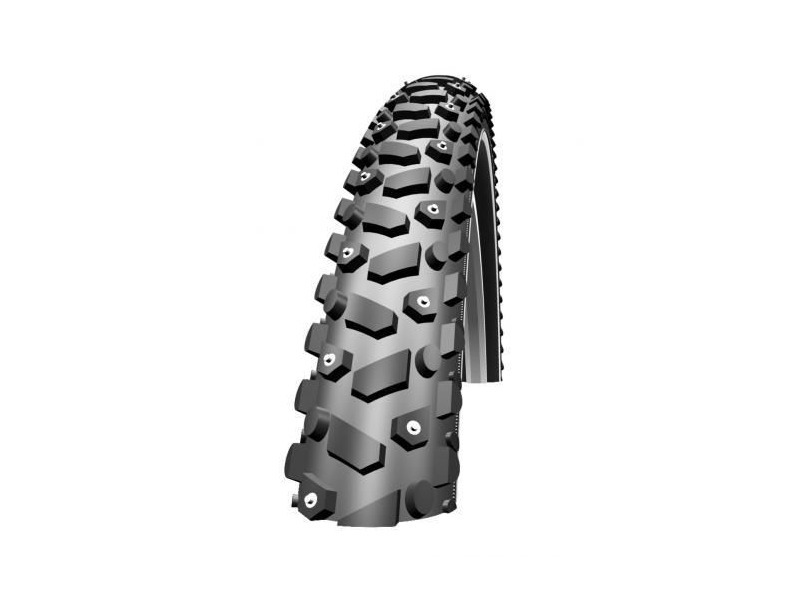 SCHWALBE Snow Stud :: £20.00 :: Parts & Accessories :: Tyres - Touring :: Spa Cycles, Harrogate - The touring cyclists specialist. That's 49% / £19.99 below MSSP! The Perfect winter tyre. 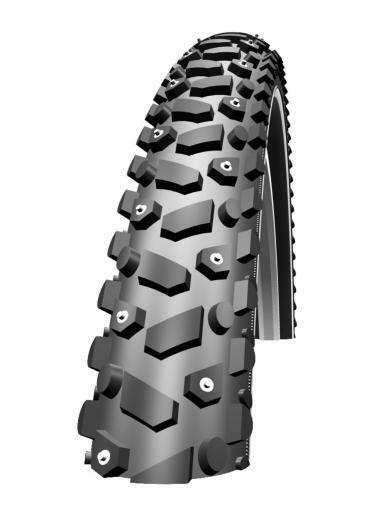 The spikes are not on the tread centre, but arranged on the sides, in the area of greatest contact pressure. When properly inflated it can be used under normal, ice and snow free, road conditions. By lowering the air pressure the tyre gains optimum grip on icy roads. In order to ensure that spikes are permanently fixed, tyres should be run in for about 40km on asphalt, while avoiding any fast acceleration or heavy braking.